Summertime brings the best in food and drink, bringing sweet fruits, bountiful vegetables, and refreshing drinks. In the scorching hot summer heat, many of us love a nice, refreshing glass of iced tea. Perhaps you would like a bit of honey in it? But then there’s the issue of dealing with the mess of sticky honey! That’s where the Nektar Honey Crystals come in. It is a sweet mixture of honey and cane sugar meant for times where you need just a bit of sweetness. They are small yellow granules that come in an easy to pour bottle or in small packets, perfect for when you want to take your honey on the go. When you use a packet of honey, this is equivalent to one teaspoon of liquid honey, so it gets very sweet! Try it in green or black teas! Uses for these crystals are not just for drinks but for food, as well! When I tried these for myself, I sprinkled some (well, a little too much) on my plain oatmeal and on my fruit for breakfast one morning. 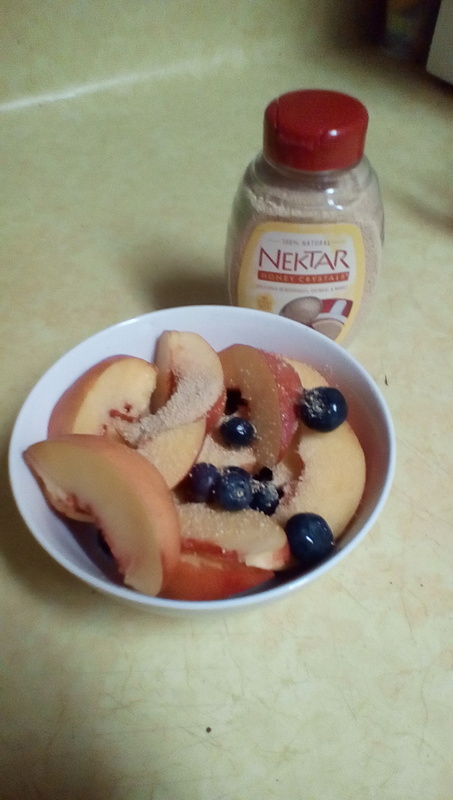 It really added a lovely flavor to my oatmeal and made my fruit taste even sweeter, kind of with a maple taste. 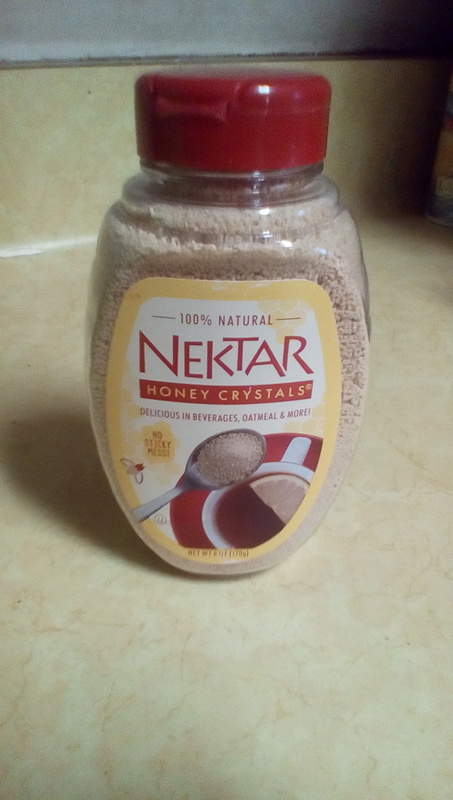 Other ideas for using these Nektar Honey Crystals are not limited to just breakfast food and tea, but to smoothies, baking, and even cooking savory foods! Add some crystals to a BBQ sauce or sprinkle some in with your seasonings for your steak rub. These are sure to please your taste buds and save you time.